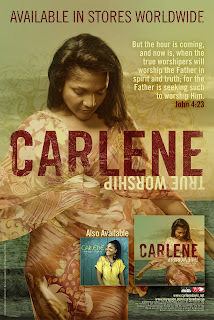 Internationally acclaimed gospel recording artist Carlene Davis is now gearing up for a hectic Christmas season following the release of her brand new album entitled "True Worship" recently. According to Tommy Cowan Founder of Glory Music the record label responsible for managing and producing Davis album she will be promoting two songs in particular. "Well firstly this album features all new songs, VP Records are on board as distributors of the album alongside their U.K subsidiary Greensleeve Records who will be responsible for the European Market. Currently we are promoting two singles off the album and they are "Blue Water" for which a video is currently out and the other is "Handful Of Salt" which we looking at for the second single". Amongst the host of songs featured on the track listing are "Healing Is The Children's Bread", "After All I've Been Through", "Open Book/ In You Lord", "Give Thanks" and "God Has A Way". True Worship is also available for purchase in Canada. Though already in circulation locally the album is expected to hit Jamaican music shops early November.